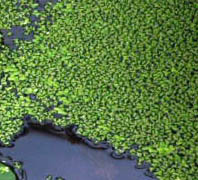 Duckweed tend to be associated with fertile, even eutrophic conditions. They can be spread by waterfowl and small mammals, transported inadvertently on their feet and bodies as well as by moving water. Duckweed is an important high-protein food source for waterfowl and also is eaten by humans in some parts of the world as it contains more protein than soybeans.The tiny plants provide shelter cover for many aquatic species. The plants are capable of absorbing excess mineral nutrients, particularly nitrogen and phosphates. 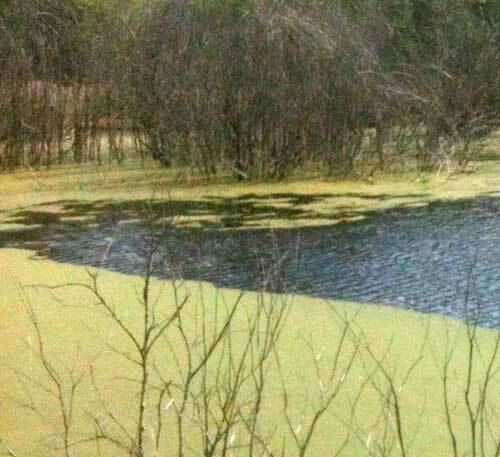 Duckweed prefer high-nutrient wetland environments, such as sloughs. Often mistaken for algae on a pond. Scoop up some of the plant and if you see tiny little roots - its duckweed.